We have the distinct opportunity to be the training provider of choice for the country’s leaders coming from the top 1000 companies as well as from the academe, government agencies and even the religious sector. 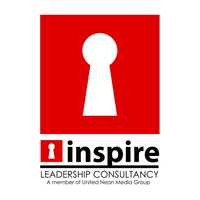 In 2005, Inspire was appointed as the exclusive licensee for John Maxwell’s leadership program. In late 2007, Inspire was awarded the exclusive licensee for best-selling author and top sales motivational speaker Zig Ziglar’s programs. We are also one of the few training providers with distinct ROI model for trainings and seminars.